Bank of Baroda, shortly called as BOB is a leading public sector banking company. Bank of Baroda was instituted during the year 1908 and is considered as one of the oldest banks in India. Headquartered in the city of Vadodara in Gujarat, Bank of Baroda offers a long list of banking products and services which include wholesale banking, cards, insurance, wealth management, accounts and deposits, ATMs, demat, NRI banking, loans, internet and mobile banking services and many other services. Bank of Baroda features an extensive network of branch operations with over 4,200 branches located all over the country. 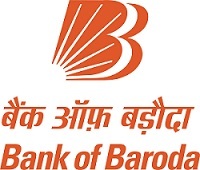 Find below the list of Bank of Baroda branches in the union territory of Puducherry along with their branch name, branch code, IFSC, MICR, location and contact details. Central Bank India, one of the leading public sector banks (BSE & NSE:CENTRALBK) in the country. Central Bank of India was incorporated during the year 1911 and is headquartered in India's financial capital of Mumbai in Maharashtra. Central Bank of India offers an exciting set of banking products and services which include deposuts, agri banking services, MSME, cards, loans, internet banking services, mobile banking services, bill payment options, NRI banking and many other services. Central Bank of India has a large network of branch operations with over 4,000 branches located all over the country. Find below the list of Central Bank of India branches in the union territory of Puducherry along with their branch name, branch code, IFSC, MICR, location and contact details. The Pondicherry Co-operative Urban Bank is a registered as a co-op society and was formally established during the year 1955. In the following year, the registered society became a full time banking organization and was officially overturned under the class of insured banking company. The Pondicherry Co-operative Urban Bank offers an exciting set of products and services which include safe deposit locker facilities, fixed deposits, current account, recurring deposits, no frills account, loans and many other services. Find below the list of the Pondicherry Co-operative Urban Bank in the union territory of Puducherry along with their location and contact details.